To All Sai Devotees.Here is a website where you can hear to sai aarti,sai sloka, offer your prayers and do pooja , offer flowers and garland daily.hope you all enjoy this site and HAPPY BABAS DAY TO ALL. JUST CLICK THE BELOW SITE YOU'LL ENJOY. Re: SAIBABA VIRTUAL POOJA ROOM. Good one. 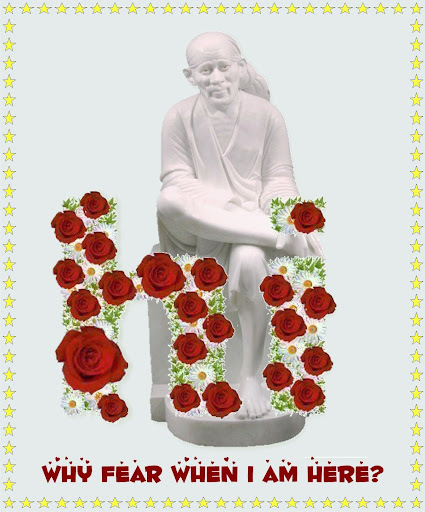 Blessed is the person who has crreated this site of Sairam. May baba bless us at all times in our lives. MAY BABA BLESS US ALL. This site is wonderful. Subah Saibaba ke arati kar sakti hoon. Kitna sukoon milta hein. aisa lagta hein ki mein shirdi mein baithkar arati aur archana kar rahi hoon. Yeh kahan se milgaya. Kisne banaya hein? Jo bhi ho Baba bhala kare.
" TUM HI RAM TUM HI SHYAM , SAI NATH MERE "
Page created in 0.296 seconds with 49 queries.